Wordundrum is a word game for both novice and experienced puzzlers! Each board is a mix of letters and blank tiles. Your job is to place letters in the blank tiles until every line spells a real word both down and across. A check button lets you know if you're on the right track. Solve puzzles without using the check button and be rewarded with bonus points. Compare your score with how your friends are doing. Can you master the guru or insane levels without using a single check? Please let us know what you think of Wordundrum. We look forward to your feedback. 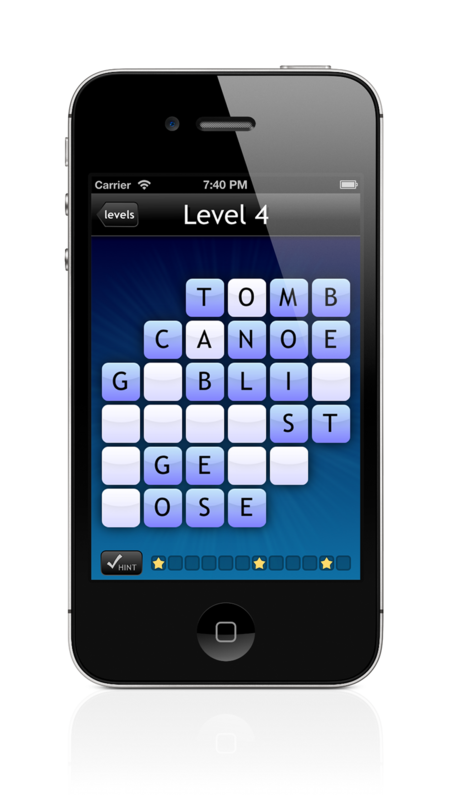 If you love word games, then Wordundrum is the game for you!